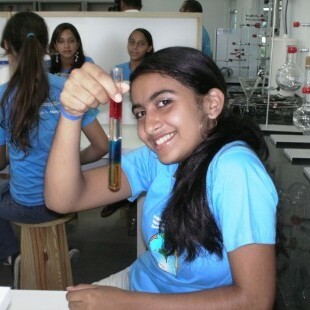 The Edmond and Lily Safra International Institute of Neuroscience (ELS-IINN), based in Natal and Macaíba, northeast Brazil, is dedicated to economic and social development through science and education. 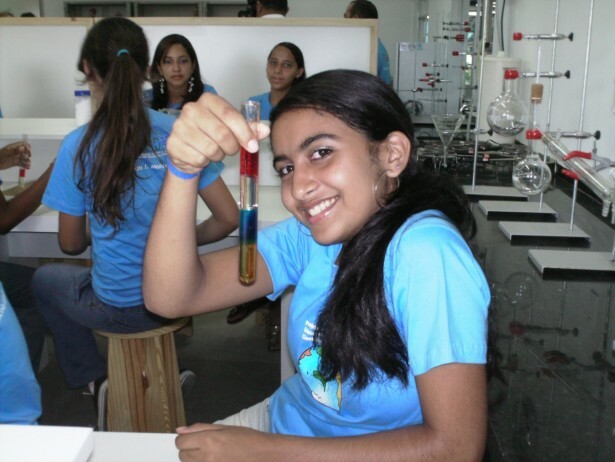 It was established in 2006 with an initial gift from the Edmond J. Safra Foundation and Mrs. Lily Safra, believed to be the largest private donation for science in Brazilian history. 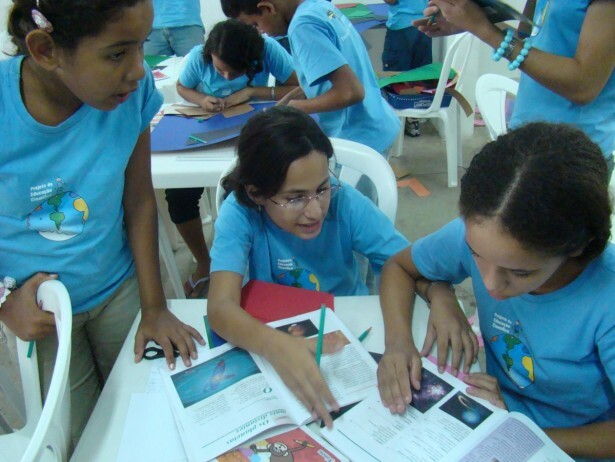 A second grant of the same magnitude was made in 2009, aimed at providing ongoing support for the project. 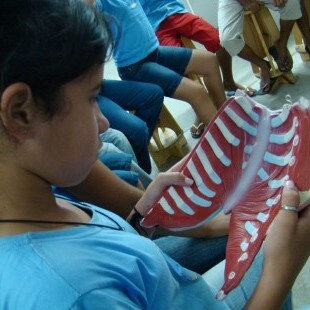 Under the direction of Duke University neuroscientist Dr. Miguel Nicolelis, it comprises a three-part initiative on behalf of underprivileged communities in one of the poorest regions of Brazil: a scientific research program, the Alfredo J. Monteverde School that provides education for more than 1,000 children, and a women’s health clinic. 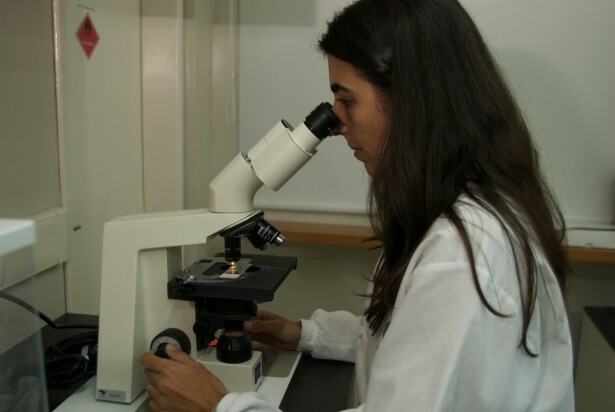 The focus of the program, located in two state-of-the-art laboratory buildings, is a concurrent analysis at the genetic, cellular, pharmacological, electrophysiological, and behavioral levels of novel animal models of Parkinson’s and other neurodegenerative and psychiatric disorders. Using “dopamine-transporter knock-out mice”, a highly-useful experimental model of a variety of fundamental motor and sleep disorders commonly observed in PD patients, ELS-IINN researchers attracted international attention in 2009 with a cover article in Science magazine, one of the most widely-read and prestigious scientific journals worldwide. Experiments showed that immobile mice became active and “seemingly healthy” within seconds of a device implanted in the spine being switched on. The technique is much less invasive than current nerve stimulation devices for easing the symptoms of PD. Given that other existing treatments for Parkinson’s (specifically dopamine replacement therapy through Levodopa) are not effective in the long-term and have serious side effects including dyskinesias, this is a promising direction for research. 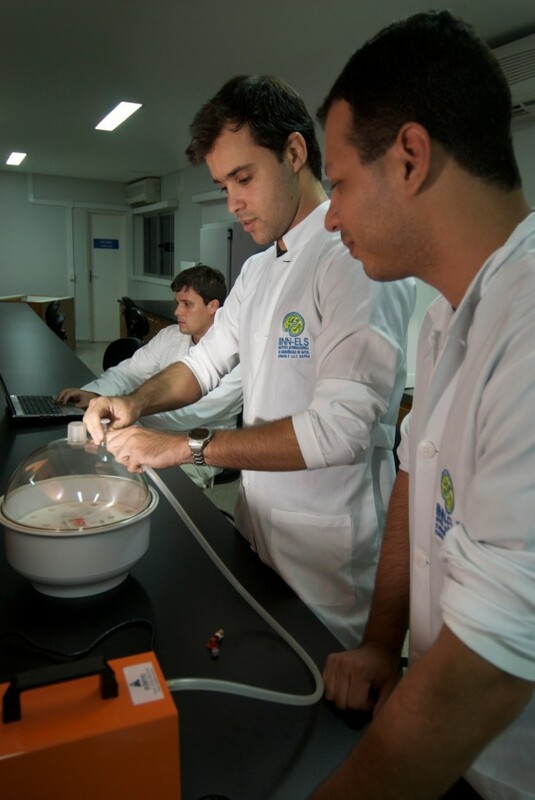 The staff currently comprises a Scientific Director (Professor Sidarta Ribeiro) and five post-doc researchers, chosen in a highly-competitive international process. 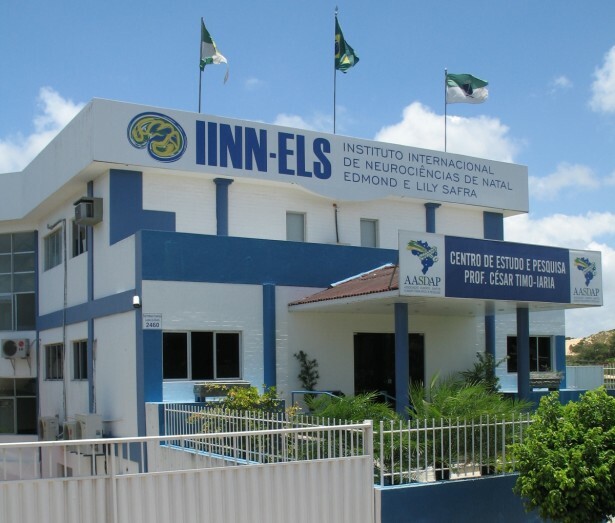 The Federal University of Rio Grande do Norte created four full professorships and eight associate professorships at the ELS-IINN, and it is anticipated that the University will create a further 15 professorships in the near future. 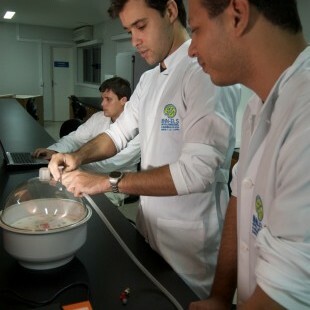 In addition to the laboratories themselves, the ELS-IINN includes extensive rodent facilities, a primate habitat that exceeds international standards, auditoriums and classrooms, and offices for researchers and students. 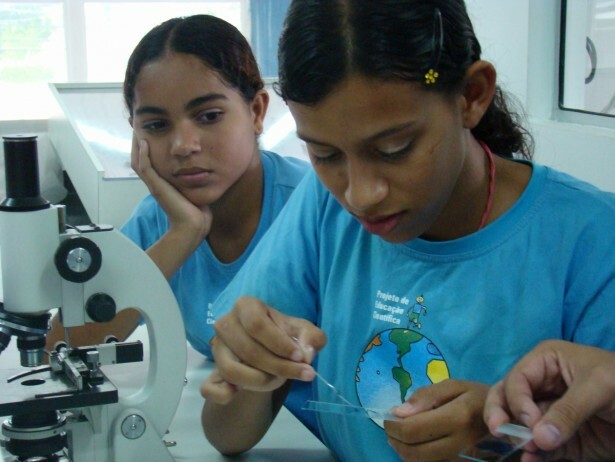 The Brazilian government has also approved a grant of approximately US$26 million to construct 25 additional laboratories on the new ELS-IINN campus in the town of Macaíba, as well as educational and health facilities that will be described below. 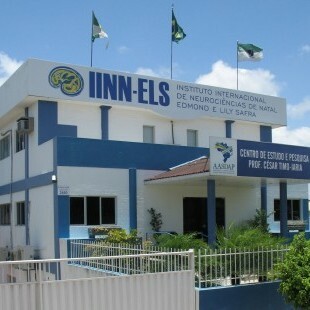 As a further indication of the importance of the ELS-IINN in the scientific life of Brazil , in the summer of 2008 it offered a two-month “ High Studies Neuroscience School” for 50 Brazilian graduate students, taught by 35 professors who came from around the world – the first time anything like this has been done in Brazil . The lectures were also broadcast on the internet, allowing all Brazilian graduate neuroscience students to listen, as well as ask questions. 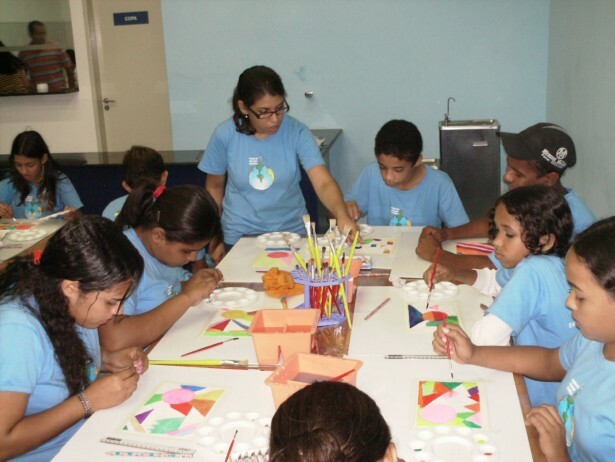 The main objectives of this program are to allow disadvantaged children from Natal and Macaíba to fulfill their intellectual promise and to prepare them to become critical thinkers who can one day contribute to improving the quality of life in their communities. 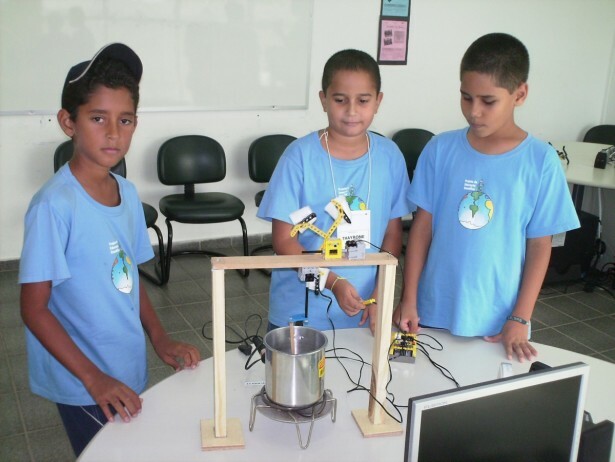 The Alfredo J. Monteverde School has two branches: the Natal school has 600 students, and the Macaíba school has 400. 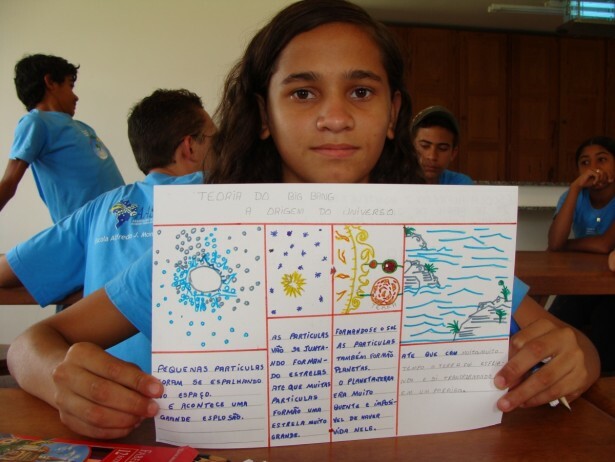 The curriculum includes reading and writing proficiency, basic science education (chemistry, physics, biology, etc. 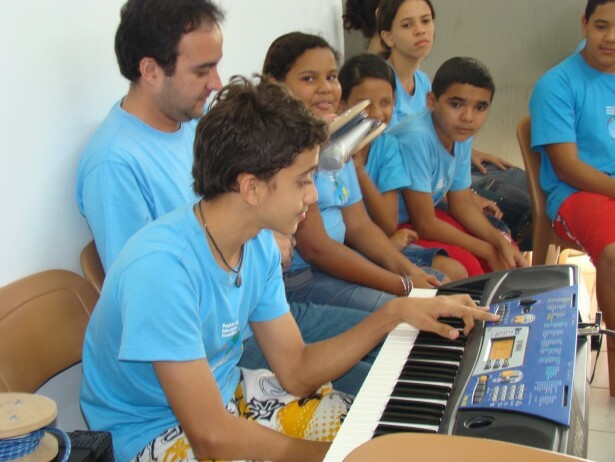 ), engineering, arts and music training, astronomy classes, classes on Natal, Brazilian and World cultures, English classes, and computer training, among other subjects. 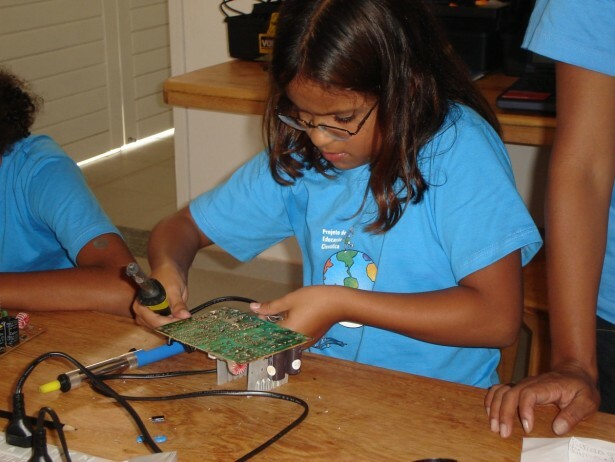 One class, for example, developed a radio broadcast – which included everything from building the radio itself to writing the script for the show. 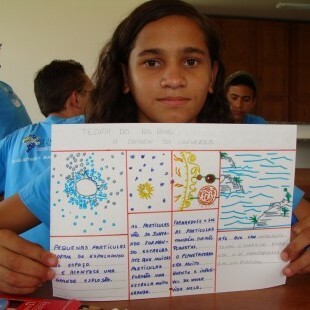 The students named their radio station “Radio Big Bang” in honor of the origin of the universe. 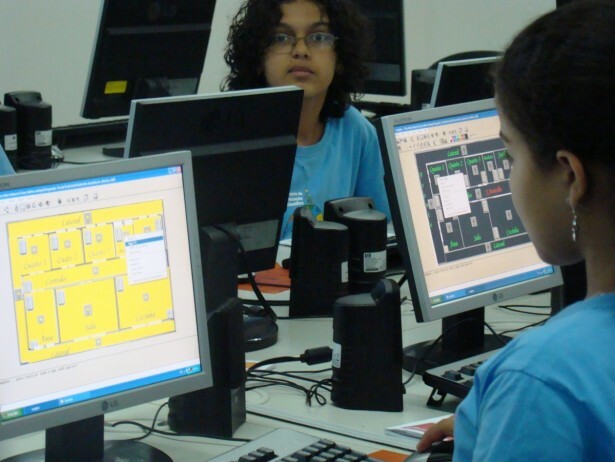 Children are exposed to computers for the first time, learning how to use a word processor and then more advanced applications. 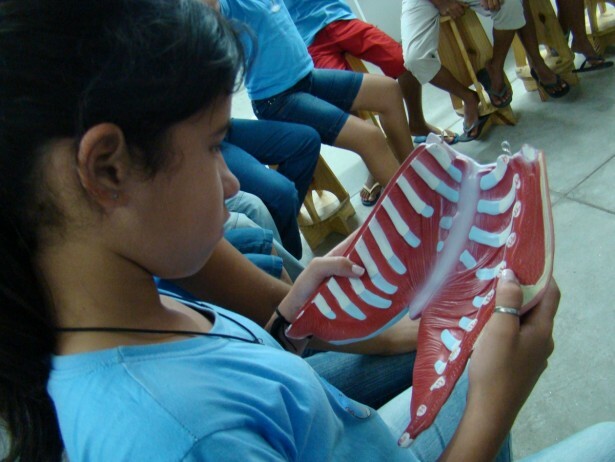 The Natal school has a library from which children can borrow books and take them home. 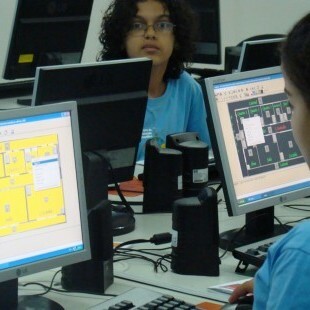 The students are drawn from 16 local public schools, and they range in age from 11-16. 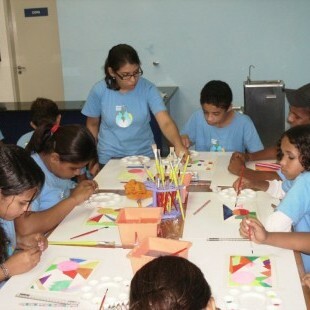 The schedule is designed to ensure that there are no more than 25 children per class. The general well-being of the students is a primary concern: for example, they receive a homemade, high-protein lunch each day (protein they might not otherwise get – for many, it is their only meal); the school directors successfully secured new bus routes from the city to include the school locations; and small items, such as the installation of mirrors in the corridors (because the children, most of whom have never had a mirror at home, enjoy seeing themselves), are not overlooked. 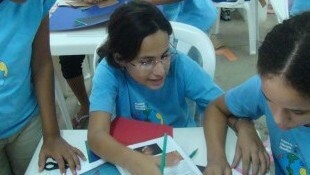 There are frequent “open houses” for parents, and the teachers remain in close contact with the children’s families. 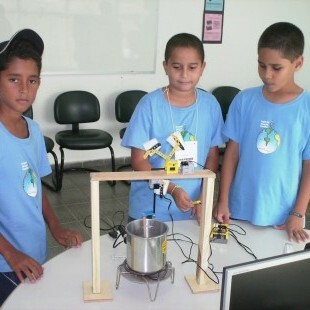 In the planned future expansion of the educational program, the Alfredo J. Monteverde School will be complemented with a program for the families (particularly the mothers) of the students, which will include literacy classes, job training, computer classes, and a repertoire of other activities. 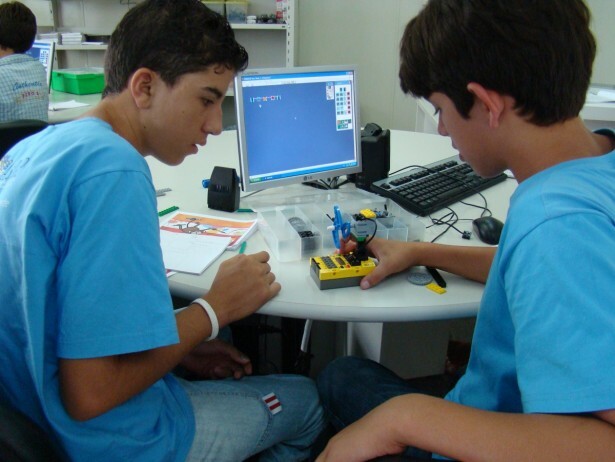 The Brazilian President and Minister of Education have recently written that the school’s ideas, methods, and strategies should be replicated in other Brazilian communities and that they intend to commit government resources to do so. On the ELS-IINN’s new campus, the new building for the Alfredo J. Monteverde School will have space for 5,000 children to attend full-time, as well as state-of-the-art sports facilities. Opened in August 2008 in Macaíba, the clinic will treat approximately 19,000 patients annually when it is running at full capacity. Services offered include obstetrics, pre-natal care, ultrasound, clinical psychology, and gynecology. 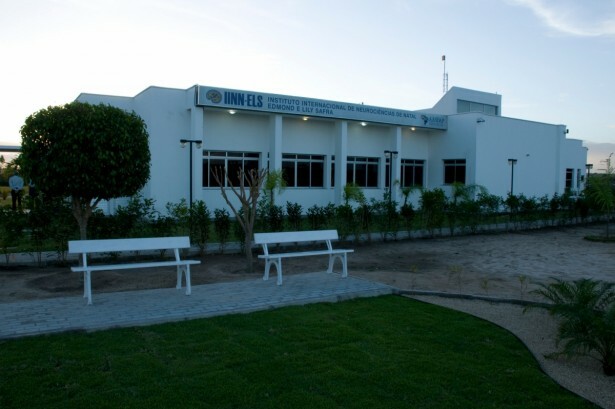 This is the only medical service available to many residents of the area, as the Macaíba public hospital is in such poor condition that it recently lost its official accreditation from the Ministry of Health – residents have stopped going there, knowing they will not receive care of any quality. 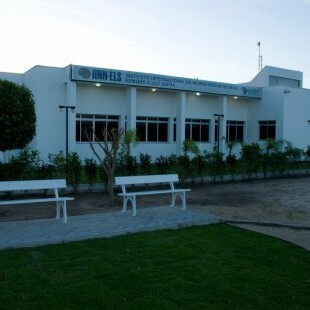 The clinic is also a teaching facility: four medical students from the university come each week to learn and work there. Staff have trained 22 community “teams” consisting of a doctor, nurse, and psychologist/social worker in various neighborhoods to regularly visit families and to recognize potentially problematic pregnancies – and to send them to the clinic. 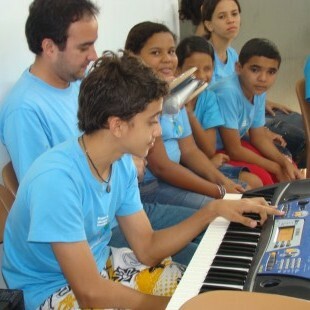 To learn more please visit the project website: www.natalneuro.org.br.